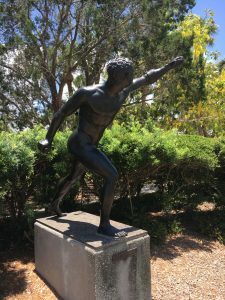 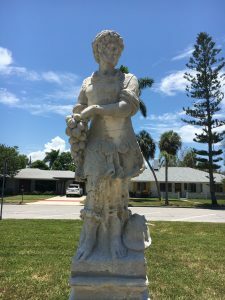 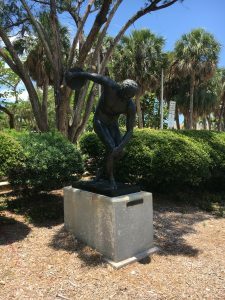 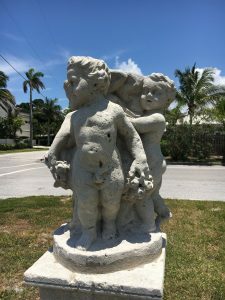 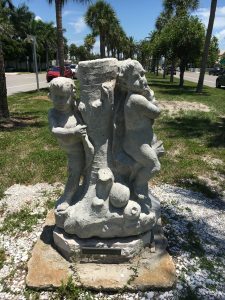 Thanks to John Ringling’s vision in the 1920’s and the more recent passion of community groups such as Save Our Statues, we are fortunate to have a lovely display of public art throughout St. Armand’s Circle. 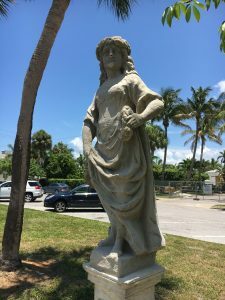 80-90 years after the gift of these statues, it is difficult to find documentation as to exactly which statues where donated to the circle by John Ringling. 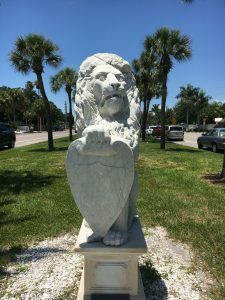 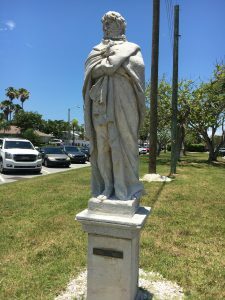 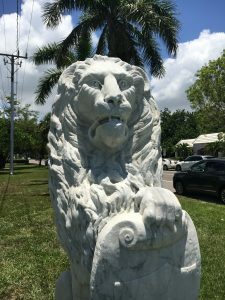 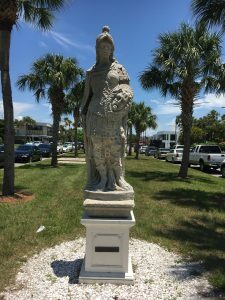 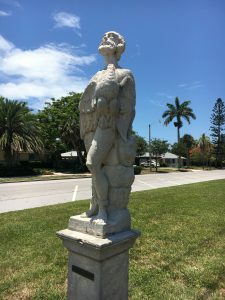 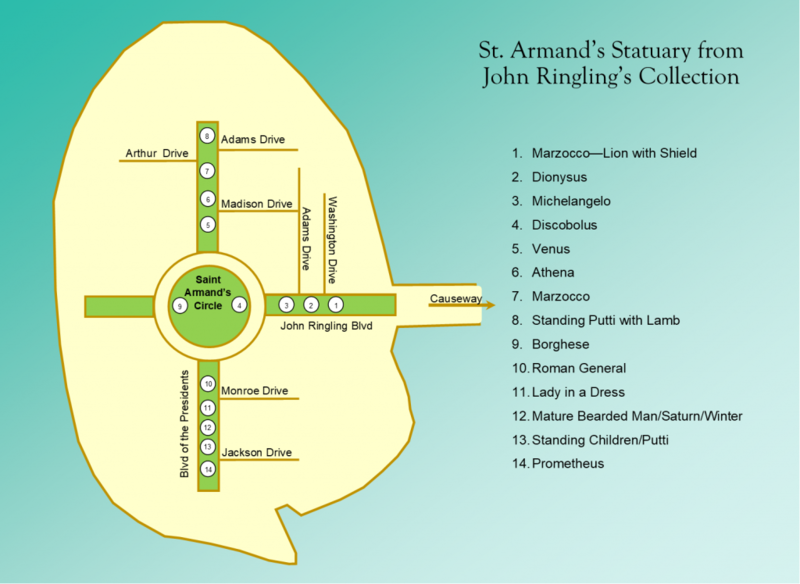 Some statues have been moved and others are missing, but by combining the application for historic registry and the loan records from The Ringling Museum, the statues below are likely the remaining pieces on St. Armand’s Circle that were contributed by John. 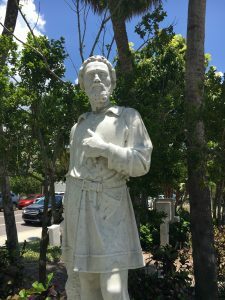 Italian sculptor, painter, architect and poet. 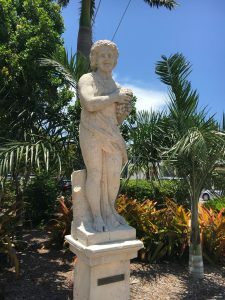 Greek titan who was bound to a rock.